We earlier covered the importance of having device drivers and a utility to update sound, video, network and other drivers in Windows automatically. Among which the AC97 and high definition audio drivers have much requirement among entry level and medium PC users. AC97 and high dentition audio codecs includes standards specified by Intel to process multi-channel audio from compatible hardware. Hardware vendors including Realtek, Conexant and Along devices manufacture AC97 and high definition audio chips and they periodically releases driver updates to improve the hardware performance with Windows. But like many other sound drivers Realtek high definition audio driver also started showing incompatibility issues when Microsoft started issuing Windows 7 test builds . So users were unable to experience sounds on the new Windows editions. Though Realtek came up with a partial driver update, the problem persisted since Windows 7 was still in beta stage. 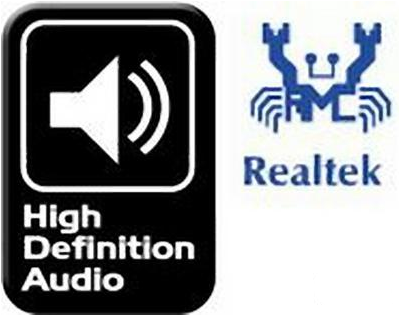 Finally yesterday with the final release of Windows 7 in India and other countries, Realtek released reliable Windows 7 compatible AC97 and high definition audio drivers that you can download here. Few motherboard manufactures (eg: MSI) have live update applications that could check for all available driver updates on a PC. This includes Realtek and other LAN – sound drivers, Intel graphics media accelerator drivers, Intel INF updates and Bios updates . The above driver downloads are also compatible with Windows Vista.